Have you ever wondered what those pharmaceuticals drugs can do you to you after prolonged exposure? It has been studied that there are many common nutrition depletions associated with specific drugs and it is in our best interest to know what those nutrients are and take the correct supplement action to replenish them. 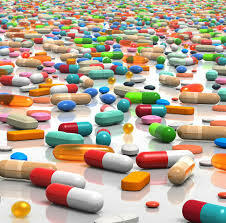 Drug-induced nutrient depletions occur when the medications we are taking for our various health issues block the absorption, storage, metabolism or synthesis of essential nutrients in the body. When nutrients are blocked or depleted in this fashion over a prolonged period of time, health problems can develop secondary to those depletions. Some of the most popular medications prescribed today can create these drug-induced nutrient depletions. Statin drugs which lower cholesterol, acid lowering drugs to relieve stomach complaints, antibiotics, estrogen replacement products, even aspirin, can cause a depletion in essential nutrients needed by the body for good health. With so many individuals today taking multiple medications, drug-induced nutrient depletion can be very common. Click on this link to find a comprehensive InfoGraphic on medications you may be taking and the accompanying nutrient depletions. Many of the depletions can be correlated with a urin Organic Acid lab by Metametrix or US Biotek. These labs will generally will detail the findings of nutrient depletions and give you a detailed road map of what nutrients to take and how much to take. Please see your Cypress Coach for more information. Take a moment to look at the end of the report and the material for the personalized supplement information.